One of the most exciting weeks of the year is swimming in and Moody Gardens® is getting in the spirit with a special program and combo deal. 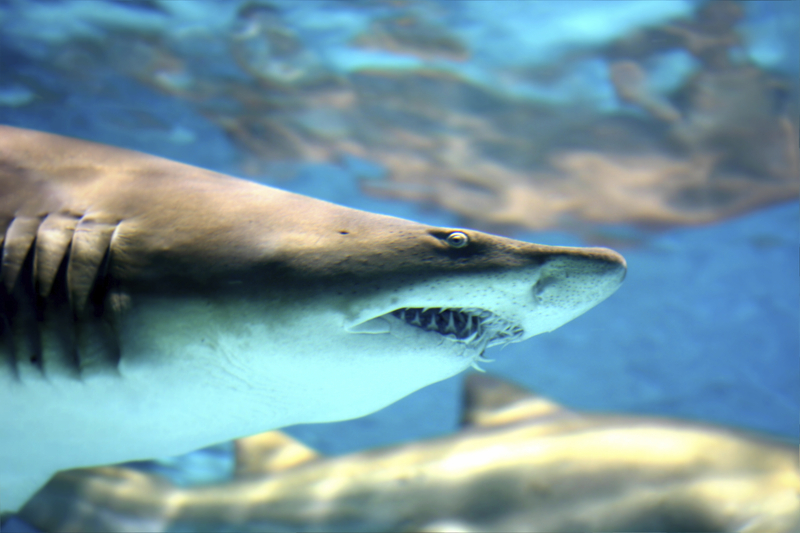 Moody Gardens biologists are celebrating “Shark Week” with a forum on the myths and realities of these amazing sea creatures. The staff will also discuss the process it goes through to care for the sharks housed in the Aquarium Pyramid®. The 30-minute program will run from Aug. 13 through Aug. 17 at the Aquarium Pyramid’s Ocean View Room. The forum starts at 2 p.m. and is included with aquarium admission at that time. The program will also feature a trivia contest, where a five lucky winners will get a behind the scenes tour of the Aquarium Pyramid’s Caribbean Exhibit each day. A special combo pass is also being offered to guests during “Shark Week.” For $23.95, visitors receive tickets to the Aquarium Pyramid® and an aquatic-themed movie at the MG 3D Theater. Movies at the theater include Sharks 3D and The Last Reef 3D. The combo runs from Aug. 12-18. We will also feature several shark-themed blog posts throughout the week. “Shark Week,” which has developed a cult following throughout its 25 years on the Discovery Channel, begins on Aug. 12.